Mohammad Javad Larijani, a senior and influential politician, says the Iranian government must prepare itself for a full-scale economic war waged by the US. Larijani, who currently serves as the secretary of the Iranian Judiciary’s High Council for Human rights, says the incumbent US administration believes Iran caved in to pressures to limit its nuclear program due to harsh international economic sanctions imposed on the country. Therefore, the US thinks it can force Iran to yield to more of its demands if it manages to place enough economic pressure on the country, he noted in an interview with the state TV Monday night. 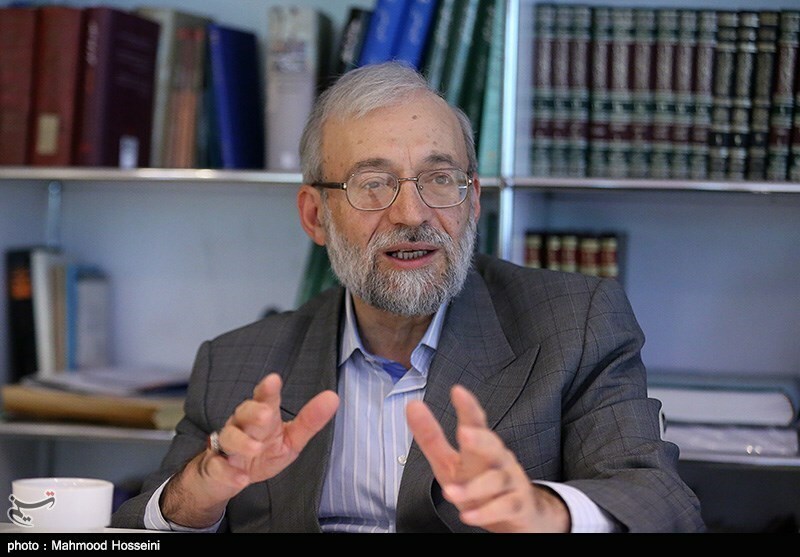 Larijani said he believes President Hassan Rouhani sees failure of the deal as the failure of his own government, so he is making every effort to keep the deal in place. “Rouhani made a big political investment on JCPOA and now he feels JCPOA is Rouhani and this is a big mistake,” he said, according to a report by Mizan News Agency. Larijani said the Iranian government should not pin its hopes on getting Europeans to keep the deal in place, as they have so far been unwilling to stand up to the US. Instead, the Iranian government should get prepared for a full-scale economic war waged by the US and prove it can use vast domestic capacities to endure economic pressures, Larijani said. The politician said he agrees Iran should engage in talks with Europeans, but he believes the government should not count on them as they are unlikely to produce the desired outcome. “It’s not problematic to talk with Europe. But we should keep in mind that it will produce no results [in the short term],” he said. Larijani said Iran’s continued commitment to the deal has led Europeans to believe they don’t need to make many efforts to keep Iran satisfied and prevent a collapse of the nuclear accord. Iran should not wait for Europeans to compensate for the US withdrawal, but Iran should announce it will stop fulfilling its obligations for a short period and then ask Europeans what they could offer to Iran in exchange for its continued commitments to the deal. Iran may need not to take any specific measures in this period, but just the mere fact that it is ready to abandon the deal will prompt do more to compensate for the US withdrawal, he said. “We don’t need to say that we walk out of JCPOA, but we would do well to stop fulfilling our JCPOA commitments and suspend [curbs on Iran’s nuclear program], as the deal has faced big problems,” he said. The US pulled out of the 2015 nuclear deal on May 8, with President Donald Trump announcing Washington will snap back its anti-Iran sanctions suspended under the pact and will impose “the highest level” of economic bans on the Islamic Republic. In a follow-up to the US exit, US Secretary of State Mike Pompeo on Monday threatened to impose the “strongest sanctions in history” against Iran that would ultimately destroy Iran’s economy, unless it capitulated to a series of 12 “basic requirements”. The list not only urged Tehran to permanently shut down any nuclear-related programs, but also to give up its regional policy. Pompeo called on Iran to halt missile development, withdraw from Syria, and cease support for groups which the US considers to be “terrorist,” namely Hezbollah. Iran has announced the deal could remain in place only if European parties to the pact give Tehran firm assurances that its interests will be served if they remain in the deal. European leaders have strongly condemned the US move, seeing it as undermining regional security and a direct attack on their economic interests. Russia and China, two other parties to the agreement, have also criticized the US move and vowed to maintain trade with Iran. Last week, the EU foreign policy chief Federica Mogherini voiced the bloc’s regret over the US’ move and reiterated the EU’s determination to keep the nuclear deal in place.